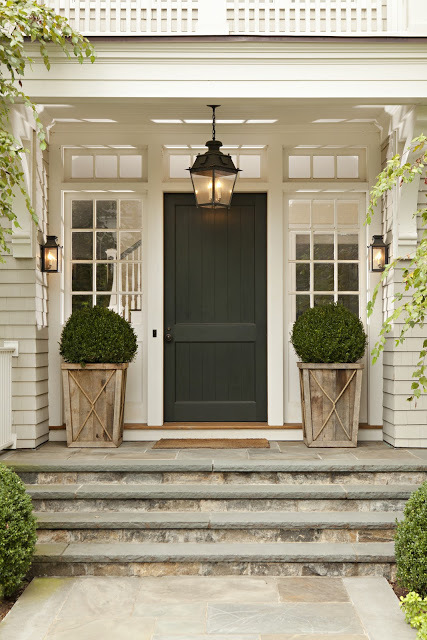 The doorway is the frame to your house and the focal point for everyone entering. They walk up to it, wait at it for you to answer and step through it so it is important to make a good impression. 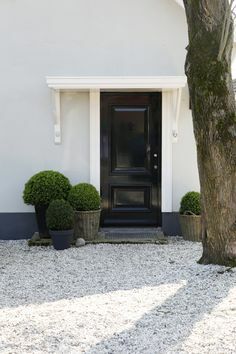 Setting a planters around the doorway can really help to improve you entrance and give it some warmth as well as set the style. 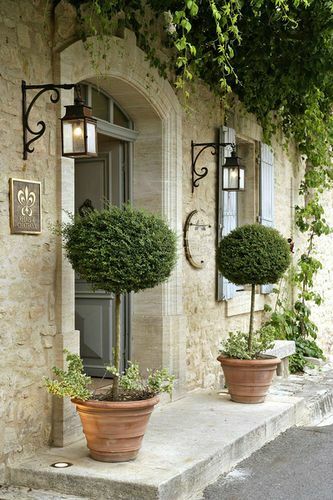 What type of flower pot you use will really decide the mood so if it’s classic you want then a Versailles planter would be good but more modern and you want something very simple. 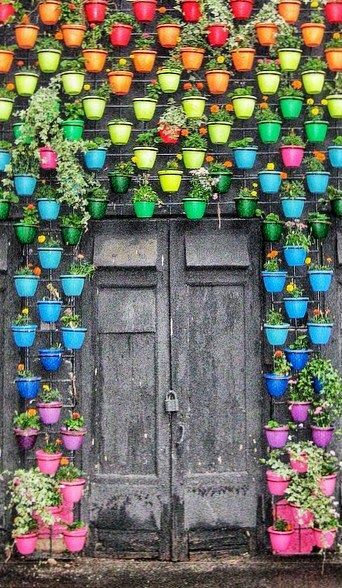 Have a look at the planters and flower pots that frame the doorways I found and see if there is anything you like in there. 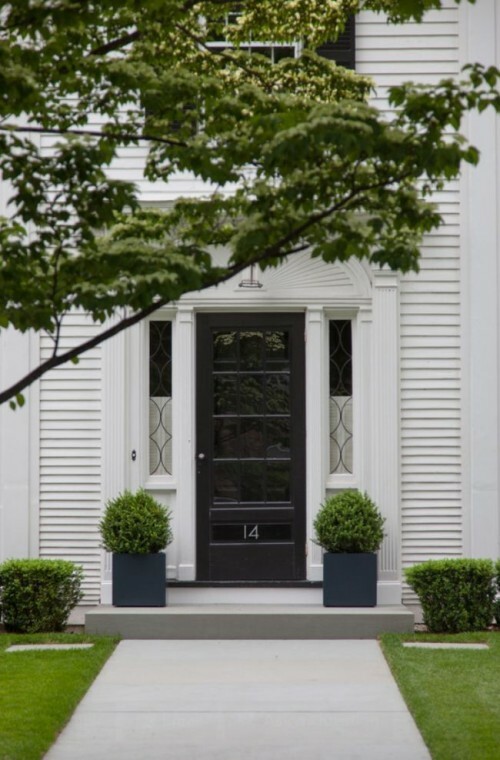 Introducing a shot of colour either on the flower pot or in the plantation will give the door frame a distinctive look and often makes for a very striking image. I can think of 2 houses in the area that have bright pots marking the doorway and both are more noticeable on the road than others. If that’s your thing then using coloured pots maybe the way to go. On the complete other end of the spectrum if you want to be stylish but not shout then simple muted colours and single colour plantings are the way to go. The look is very contemporary and less cosy but for me I love it and would choose it over bright colours. The benefit for me is the ease of maintenance. I have 2 parts to my garden and the flower part looks great for a few months and pretty nasty the rest of the time, the other section to the garden is the contemporary green and hard plant area for which I do almost no work and it looks good all year round. 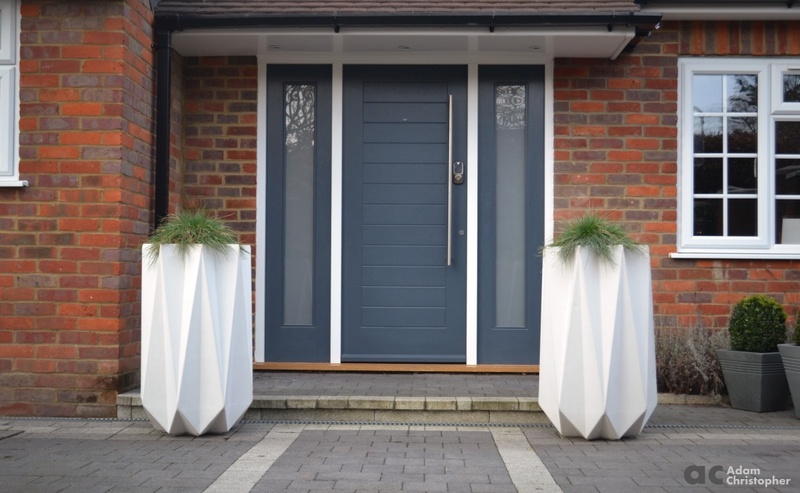 Using an angular and striking pot can make a real statement and remove the need for complex planting and maintenance as the feature is the pot rather than plants within. My own planters have been designed to be a cross over between sculpture and planter so they a bit more interesting than the usual boxes. If brutal contemporary design is too cold for you and crazy colours too much then why not break down the middle and choose a softer wooden planter that has some warmer tones and plant an easy to maintain contemporary buxus hedge. Best of both worlds. Another style of planter that adds some warmth is the trusty wicker planter. Made from natural materials these flower pots or baskets really are remarkably long lasting and only really get better with age. don’t expect them to remain as shiny new as when you bought then new though. They will grey over time and peal but remain solid if lined properly with plastic. Adding another element to the design mix is lighting. Not always an option for some home owners but great if it is. 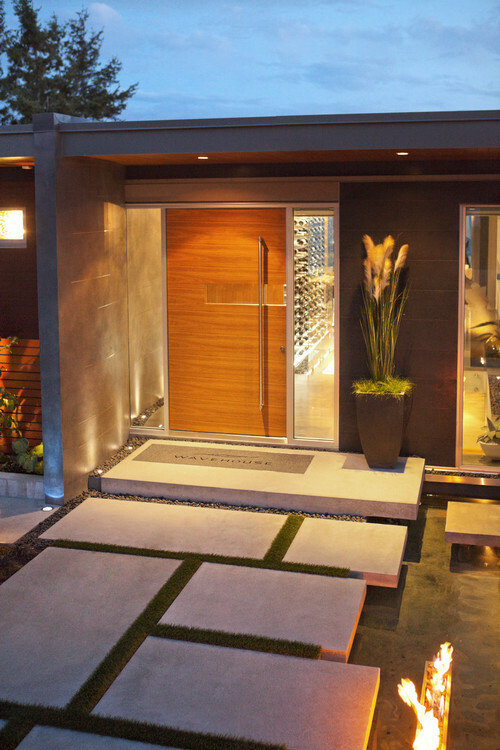 There are a variety of lights out there and they take different levels of installation. My own garden has solar lights which tick the box for ease of installation but have fallen down of lighting strength and durability. 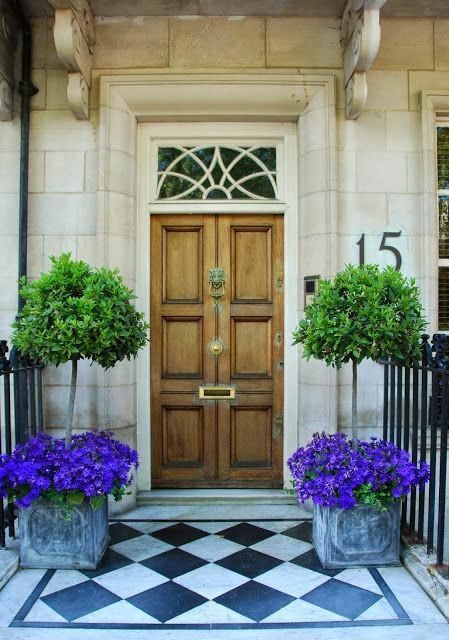 Picking a colour scheme for a season plant will mean that once a year the doorway comes alive and will look fabulous. However for the majority of the year it will look a little disappointing so be sure to combine the seasonal foliage with some all year round plants to lessen the impact of the dead stuff.